Green peas and cottage cheese in a simple tomato gravy. 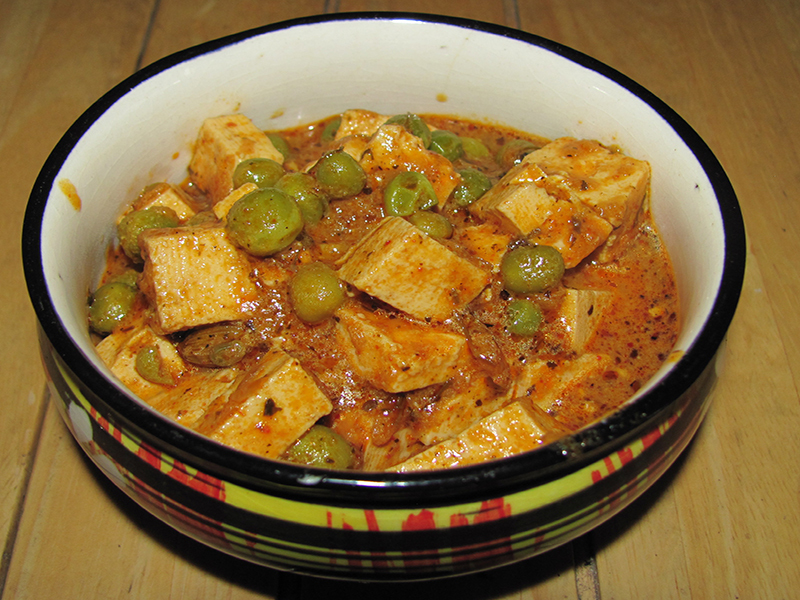 Mattar paneer is probably the most common panner dish which is made in any Punjabi household. Its quick and easy to make and also requires very basic ingredients. It can be made in a jiffy without any fuss. Lightly crush the cardamom, cinnamon a clove in a mortar and pestle and keep aside. Ina a large bowl and hot water and add a little salt. 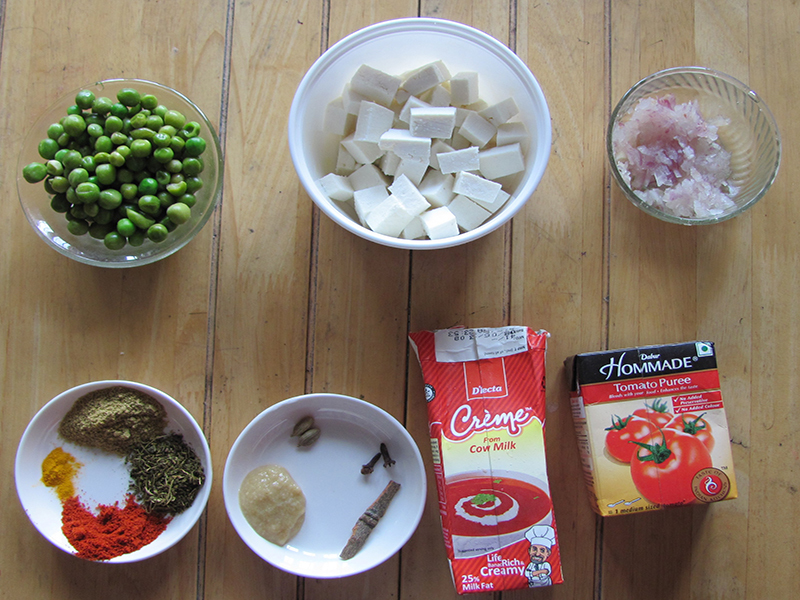 Mix well and soaks the paneer cubes in it. Meanwhile in a wok heat the oil and add the lightly crushed spices. Sauté for a while. Add the grated onion and fry till its golden brown. Add the ginger garlic paste and sauté for another minute or two. Add the tomato puree an fry for a minute. Add the dried fenugreek leaves, coriander powder, red chilli powder, salt and turmeric powder. Add a little water and fry till the spices are well cooked and oil separates. Add the boiled peas along with ½ cup water. Let it come to a boil. Add the cottage cheese cubes and simmer for 5 minutes. Add the fresh cream and cook for another minute.